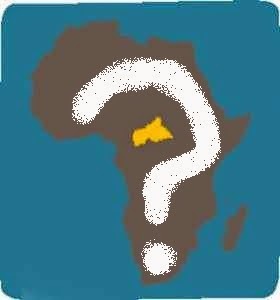 African Water Log: The Central African Republic: What About the Future? The Central African Republic: What About the Future? Two months ago, on March 24, 2013, the government of the Central African Republic was overthrown by a coup. All the Lutheran missionaries evacuated to neighboring Cameroon. We left, but the Evangelical Lutheran Church of the CAR is still there. Western CAR (where the Lutheran Church is most active) has been spared the worst effects of the coup, but still there has been some looting of both personal and church property. The former German Station in Bouar, now used as rental property by the church, was looted. A pickup truck used for vaccination campaigns and a computer were taken from the Lutheran Health Center at Gallo. Homes of personnel and guest housing at the Bohong and Gallo Health Centers were looted. Because of fear and the insecurity, people have fled to their home villages and often stay in their fields at night, instead of in their houses. Fuel is difficult to find. The banks are closed, so money cannot be transferred into the country and salaries cannot be paid. Without much of a functioning government, there are bandits on the road, just like in the Old West. Consequently travel is both difficult and dangerous. Still the Evangelical Lutheran Church of CAR continues to work. Students and professors of the Bible School and Seminary are continuing classes. The Catholic girl's school at Maigaro, where ELCA sponsors over a dozen scholarships, has moved into Bouar for security; their classes are continuing at a youth center there. Some of the Lutheran Village Schools are in operation but without transportation, no one can actually check on them. The health programs continue, but people have great difficulty getting to the clinics. Other projects, such as the Water Management Project, that rely more on fuel for transportation, are having difficulty accomplishing some of their objectives. Today, the church in the Central African Republic needs our prayers and support more than ever. One of their biggest fears is being abandoned: by their church partners and friends in the West. We ELCA missionaries have reassured them that we will be back as soon as it is safe, and that ELCA stands ready to help them in any way possible. Please pray for the church in the Central African Republic. Pray for the government of CAR. Pray for peace and stability, so that the work of the church can continue and grow there. Thanks! Photo Credit: Map showing the location of the Central African Republic in Africa.